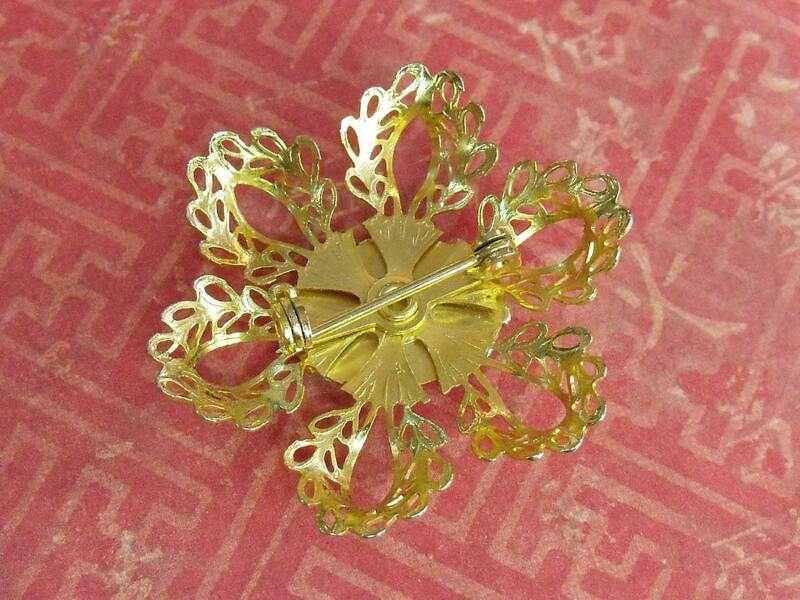 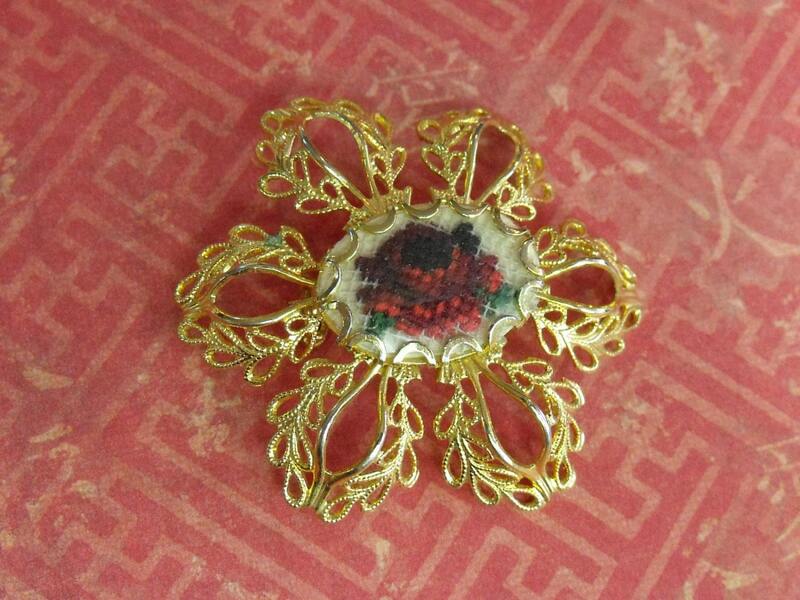 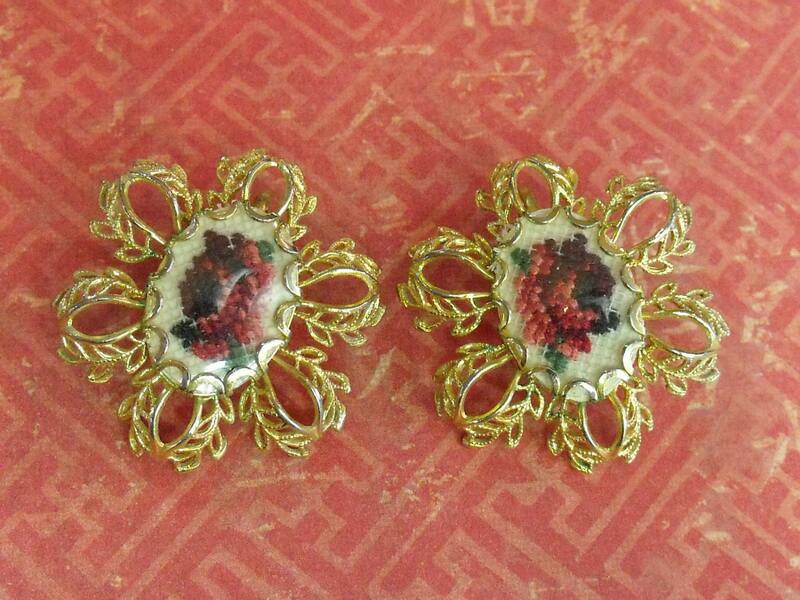 Vintage gold toned filigree brooch and clip-on earrings set with tiny rose petit point work. 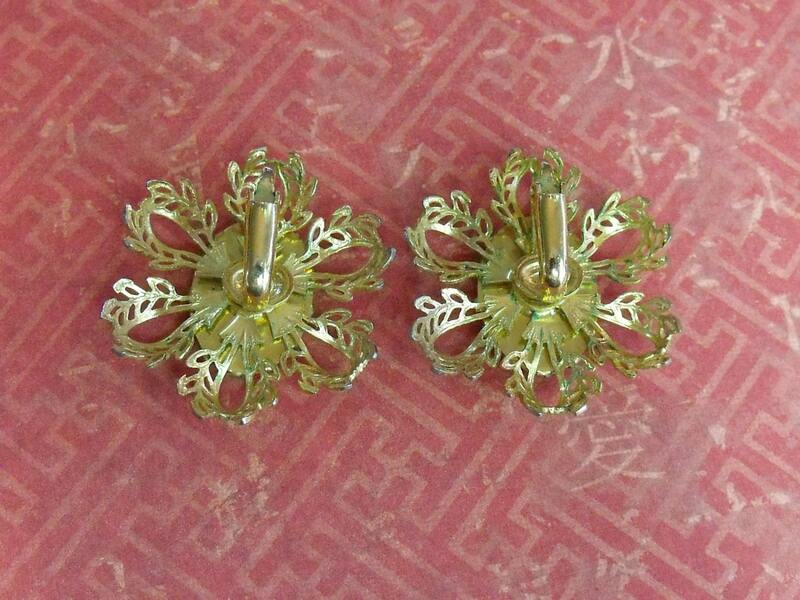 The brooch measures about 1.5" and the earrings measure 1.25". 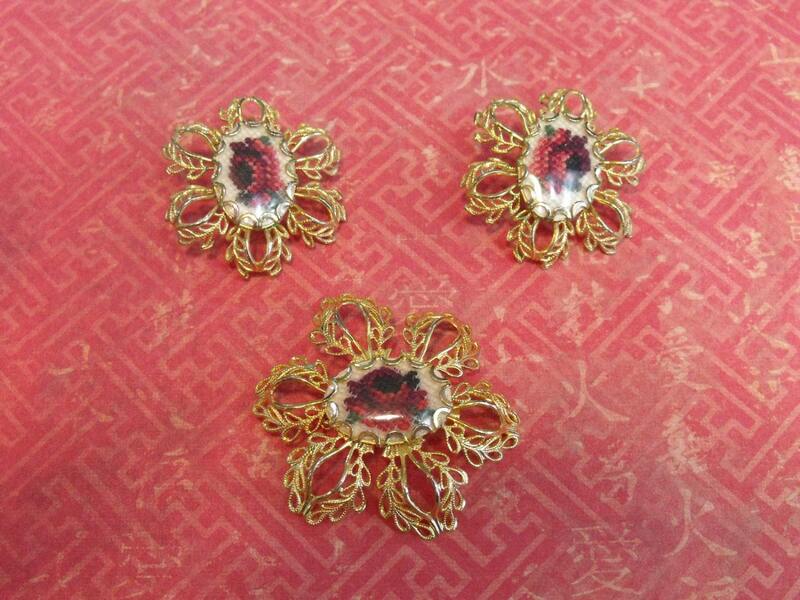 This set is in excellent vintage condition.